Back in the day, when Frank, Dean, Joey, Peter and Sammy wanted to work up a sweat, they never thought about going for a run. Instead, they took a steam. This is the no-muss-no-fuss way to work up a healthy glow and get the blood flowing without having to lace up a pair of Adidas. And now we find out that the boys were really on to something and were just a little ahead of their time. 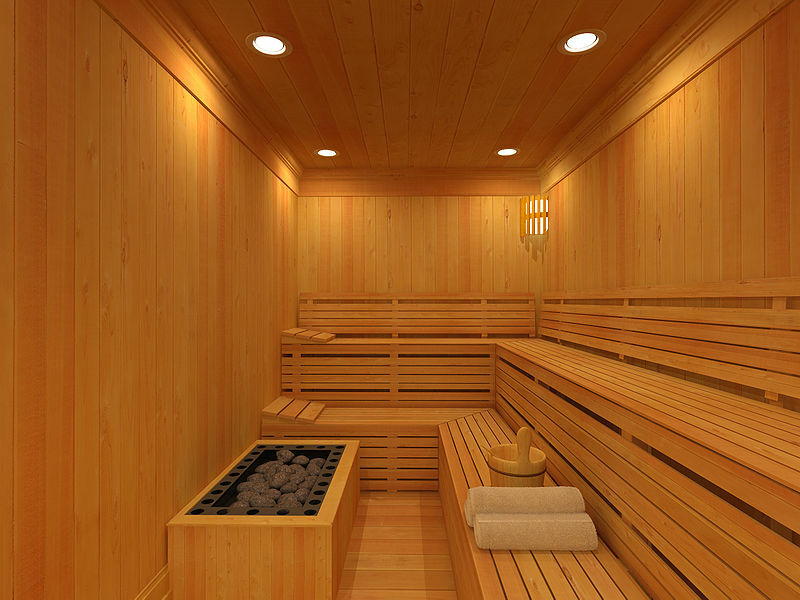 Having a frequent sauna reduces the risk of a cardiovascular event and results in better circulatory function, according to a new study published in the Journal of the American Medical Association’s Internal Medicine. The news comes from researchers at the University of Eastern Finland, Kuopio, where 2,315 men between the ages of 42 and 60 were studied for incidents of sudden cardiac death (SCD) and fatal cardiovascular diseases. Over 21 years, the risk of SCD was 22 percent lower for men who had two to three sauna sessions per week compared with those who had just one. The risk of a fatal coronary heart disease event was a whopping 48 percent lower among men who took a steam four to seven times a week compared to those who only did one. HERE’S A CHEERY STUDY: Individual health care premiums purchased in states that rely on the federal health insurance exchange could jump an avearge of 255 percent if the Supreme Court sides with the plaintiffs in this summer’s King v. Burwell case. Some people could see premium hikes of up to 774 percent, according to the study by a healthcare research group, Avalere. The plaintiffs argue that Obamacare subsidies are illegal in states that don’t have a state-run exchange due to a flubbed wording by Congress. in the original 2010 law. Eighty-seven percent of federal exchange customers receive a subsidy, Avalere said, which amounts to about 7.5 million Americans. Most of them would be exempt from a tax penalty, however, due to their income. In fact, there’s reason to believe that a ruling for the plaintiffs would impact all health insurance premiums, even those that aren’t subsidized, since the entire basis for the Affordable Care Act is to allow insurers to spread around the risk by getting young people on board.